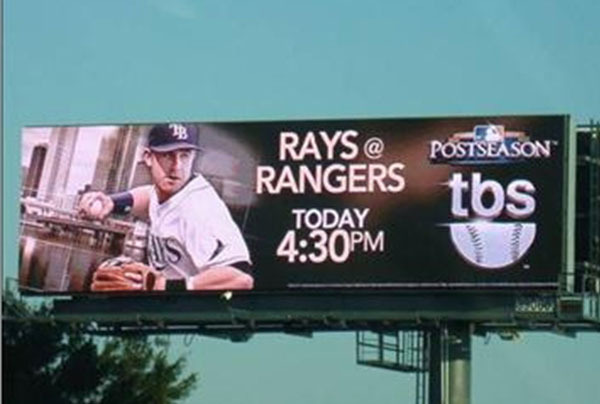 TBS needed to keep postseason games top of mind with their viewers. Taking advantage of out-of-home digital formats, they were able to provide up-to-the-minute information on the games. TBS wanted something big and “out of the box” with the ability to switch creative daily to show MLB Postseason updates. 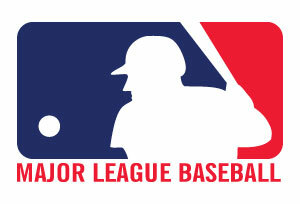 TBS sought to drive tune-in for all of its games during the MLB Postseason including American League Division Series, National League Division Series, and American League Championship Series. 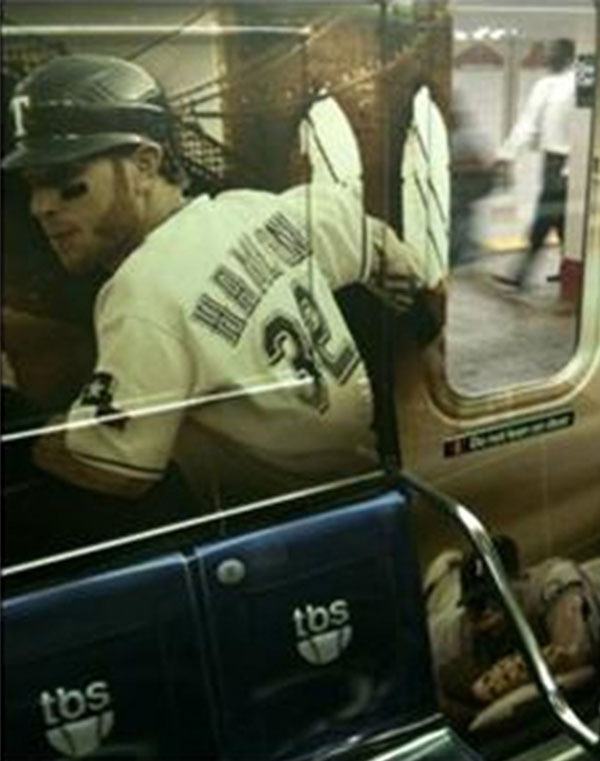 TBS wanted to leverage high-impact tactics to drive awareness for all games by using wrapped interior and exterior subway cars with digital video screens in New York. TBS also wanted to develop a national foundation with key local market overlay (in relevant regions) by using digital bulletins in seven markets to supplement the high impact tactic in New York. This campaign was the first to use video car cards inside trains for advertising purposes, along with having three MLB celebrities present at the launch as well: Cal Ripken Jr., David Wells, and Ron Darling. The videos were uploaded every morning so commuters were able to see the results from the prior nights’ playoff games.